IT'S VERY IMPORTANT FOR THOSE WHO CREATE MUSIC TO FIND A GREAT ADMINISTRATOR FOR THE COLLECTION OF YOUR MUSIC ROYALTIES AND PUBLISHING REVENUE STREAMS. EVERY PENNY COUNTS . IT'S LIKE HAVING A PROPERTY MANAGEMENT COMPANY FOR ALL YOUR RENTAL REAL ESTATE PROPERTIES . IT'S SAVES THE LANDLORD HEADACHES AND ALL THEY HAVE TO DO IS COLLECT THE CHECKS AND ENJOY. ALMOST HALF OF MUSIC REVENUES CAME FROM STREAMING LAST YEAR. Streaming services and their revenue has definitely saved the music business according to new music industry report, which notes that 2017 was the third consecutive year of revenue growth thanks to digital music consumption. Globally, recorded music revenues reached $17.4 Billion in 2017, up form $16 Billion in 2016. That is an annual growth rate of 8 percent. Streaming revenues in particular have contributed to this growth and were up 39 percent Year-over-Year to reach $7.4 Billion, or 43 percent of all revenues. That offset some of the declines from legacy formats, like downloads and physical albums, which fell by an estimated $783 Million. In the U.S., digital revenue last year grew 15 percent to $6.5 Billion, up from 5.65 Billion the year before. A good-sized portion of those revenues came from streaming music subscriptions, which grew 63 percent from $2.5 Billion in 2016 to 4 Billion the year after. The U.S. has become the most important streaming market worldwide, accounting for 40 percent of the total global recorded music revenues . Thanks to the innovation and diversity of the music services available in the U.S., the report predicts that the number of paid music subscribers will reach 90 Million by 2025 which is almost double from today's numbers. What this means for the indie artist is there are a lot of room for the music professional to get in on the action. Please take the time to strategize a plan in action and take a piece of the pie. Some of the pie is better than none of the pie at all. If you are hungry, you can eat. As you see here, there a good living out there with your music if you want it. TV WANTS MORE INDIE VIDEOS! An astonishing 78% of independently released music videos were accepted by MTV, BET, and CMT in 2017! The same studies showed and acceptance rate of 54% in 2015 and 61% in 2016, which can only mean one thing: Major Music Video TV broadcasters are accepting more and more music videos from independent artists. Zilah Music Publishing knows the platforms every national TV broadcaster uses to receive and consider new videos for airplay. Now is your time to shine! Get in touch with Zilah Music Publishing to get your music video on these major platforms. It's worth the investment. 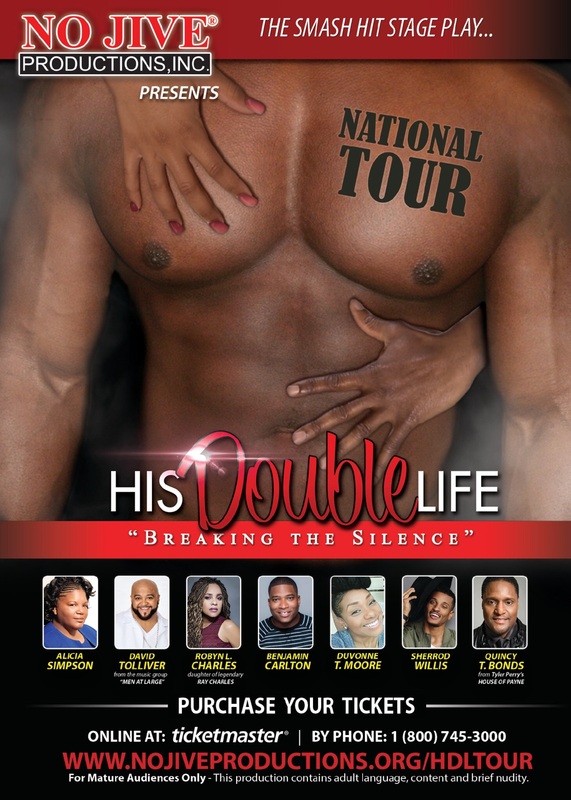 Zilah Music Publishing is proud to be a part of Robyn Charles journey as she displays her acting and singing talents in the stage play production " His Double Life" November 11th 2017 in Atlanta Ga. Her new single entitled " I Don't Know" Which will be available in all digital online outlets, will be debuted in this play giving R Charles & Company Publishing & Zilah Music Pub Admin, a great placement for our partnering publishing venture. Nial Martin creator, writer , director & producer of "His Double Life" created a play that tells the story of a young man who craves the unconditional love of his father but finds that no matter what he does, he is unable to measure up to his standards of life. Yet he faces even more serious obstacles that threaten to destroy the relationship with this high school sweetheart and soon to be wife. It tears his family apart and causes an irreconcilable breach between him and his father. The play illustrates how toxic secrets can be to a family's well-being and explores problem that many families endure such as alcoholism, life-threatening illnesses and hidden sexual desires. In the end , HIS DOUBLE LIFE provides us with a view of what can happen when we accept the differences that exist in others and shows that no matter how terrible things may seem, love can still conquer all. I can't wait to see the show again in GA.. Love the acting and the suspense of the show. You don't really know whats going to happen next. His Double Life will give you Life!!! This stage play is great, it is a well put together production!! I can't wait to see this show......A GREAT SHOW IN A GREAT CITY!!! A hot show that's a must see!! TIFFANIERO.INFO LIVE ON THE IBNX RADIO NETWORK "INTERNET'S MOST INFORMATIVE TALK SHOW HOST"
ZILAH MUSIC PUBLISHING has been on the cutting edge of what they call " The New Age Of the Publishing industry" as the company is quite new on the scene, they expand their territory freely to a new division by teaming up with IBNX RADIO NETWORK providing content and producing shows such as the Tiffaniero.info internet talk radio show. Tiffaniero.info focuses on the everyday person & the conscious community attracting those who like entertainment mixed with education bringing you the best combination of Edutainment!!!!! Zilah Publishing first internet radio production project is a show all about giving back!!! This show content is about helping and educating everyday people through entertainment on how those with humble beginnings stayed focused & determined on their road to success, exploring the path of their journey and examining the decisions, crossroads, failures & achievements of successful people through the process of business & relationships. This concept was developed and centered around a great talent, business person, creative individual that Zilah Publishing has signed by the name of Tiffanie Romey better know as Tiffanie Ro!!! Tiffanie Ro, is a pure example of what this show is all about. She lives her life by always giving back to her surrounding by constant mentorship through her professional endeavors. Tiffanie started her professional business career in being a star sytlist of hair and cosmetics for over 27 years. She has been a major part of the behind the scene platform enhancing the images for such Hip Hop artist like RUN DMC , Kid N Play, LL Cool J just to name a few, Styling for these major artist music videos and photo shoots. This guided her to land a major gig on UPN television network " Arsenio Hall Show" during the height of the shows success as a cosmetic & hair stylist for the shows talent. 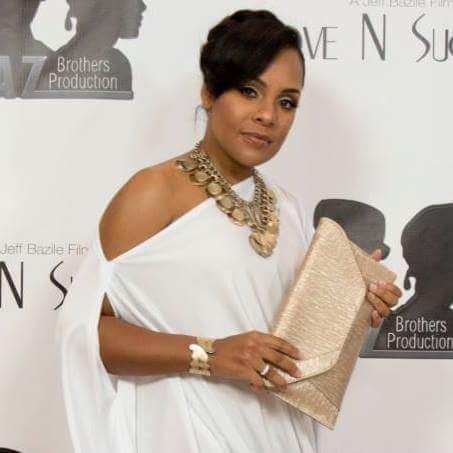 Opening her own salon in Queens NY with over 1,000 die hard clients , after years of building dedicated customers, she retired from the beauty industry and venutured into real estate that she had no experience in what so ever. Who would leave a successful thriving business for a career that one knows anything about you may ask? Tiffanie Ro would!!! After the experience of buying her very first 5000 sq ft home in the Pocono Mountains of Pennsylvania, she wanted to help people in the process of knowing how to buy and obtain one of america's top investments, and that's real estate for themselves because her experience was not so pleasant. Years later from that decision, Tiffanie has been the Top Producer of several companies that she has worked with and currently 4 years consecutive top producer and mentors the company's agents to make them better sales producers. With a leap of Faith and a dream, she has obtained her 3rd residential property & a host of investment properties. Now that she continues to conquer the real estate industry she is now ready to use her College degree of Marketing & Communications, tie all aspect of her life together and give back as she continue to do what she loves to do, that's help people succeed as she does constantly. Tiffanie Ro's main principles is all about the Mind, Body & Soul. Keeping all 3 components sharp and in tact through action, spiritual growth & physical fitness. She wants to state that she is not perfect. It's a very hard hill to climb to keep yourself in tact and motivated to move forward but she strives to be that motivative force for people that she never really had coming up during her journey. Her purpose is to be of service and to expand to duplicate her purpose to others so that the world is not just full of consumption but more production. Most important this module of Tiffanie Ro will leave her legacy so that she lives forever!!!!!!! Robyn LaJoya Charles, youngest Daughter of 12 to the legendary singer and artist, Ray Charles Robinson, recently Founded " R Charles & Company LLC" Music Publishing and Consulting Firm in the Greater Atlanta Area . After her partnership with A-Class Productions as a songwriter spawned an array of song such as her current single "Let's Talk About It" she decided it was time to take matters into her own hands and signed the production company as her first client to RC&C. Charles also signed on as one of the leading roles in the upcoming stage production " My Double Life" ( No Jive Productions) coming October 2016 and placed her co-write with Lawrence Tolbert "Sad Song", on the newly release movie score and soundtrack "Love N Success," as a kick-off to this courageous venture. "The Daughter of the Legend" has worked with such notable artist/producers as Kool Moe Dee, R. Kelly, Smokie Norful, Manny Fresh, Shannon Sanders, Chaise Flanders, Eric Williams , Chris Traxx Rogers, and Darryl " Mr. Formula" Easterling. She also worked with such notable actors as Ralph Harris (Manish Boy and Dreamgirls), Samuel Jackson and the late Bernie Mac on Soul Men. Charles is tirelessly developing her library as as songwriter/publisher with other composers & writers such as Kavi Karkaino, Gary G-Note Write, Saddler, Samuel , Sam P Addams and Enrique "Tetraz" Dent (Krazy Swag Ent) Wesley Hogges, Fred " Uncle Freddie jerkins, Rich Nice and Commissioner Gordon Williams ( Lalabela Music) on her music catalog. After a brief run on the "Daughters of Legends Tour" With Carla Cooke (Daughter of the late Same Cooke) & Rhonda Ross (Daughter of Diana Ross), Charles teamed up with Aaron Reid (Head of A&R Sony/Epic), Darryl Easterling (MTC Consulting) and Shawn Bailey of Zilah Music Publishing to develop a rich and eclectic library with a variety of musical influences deriving from Gospel , R&B, Jazz, Funk, Blues, Island, Country , Pop, Rock and Hip-Hop. Robyn Charles states, " our goal is to have such a universal catalog, that ANY "Buyer" can find something that fits. Through life's experiences and her desire to further her father's legacy, Charles independent music endeavors ) following in her father's footsteps) will not only introduce her to the industry, but to the world!! Charles expects and demands to be known for her own gifts, talents, artistry and accomplishments. 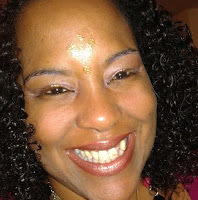 Rayna Howe is an ordained interfaith Minister, Priestess, Sexual Trauma Body Worker wh a certified registered Kaurna Reiki Master who has teamed up with Zilah Publishing to transmit frequencies, sound healing , heart intelligence, Activations and DNA coding to bring light to the world and every human being she comes in contact with. Lady of Rays, playing off of her harmonious connections to the seven rays realizes that everyday calls for surrender , patience and acceptance. She comes with a purpose to be a vessel of communication & healing along with helping others while understanding and innerstanding she is like everyone one else. She considers herself to be a work in progress as well building and growing with her community of self awareness brothers & sisters. ZILAH PUBLISHING has exclusively signed on to be that catalyst to spread this positivity through different mediums to make this dimension better one step at a time. Look out for Lady of Rays to transmit through books, radio, lecture circuit, plenty of healing and self help products to elevate goodness, well being & consciousness. 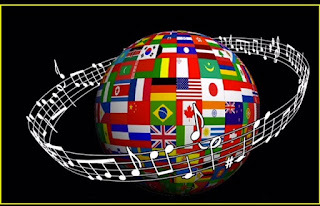 Zilah Music Publishing is a licensing & publishing company. We represent the works of composers, music producers, indie bands, singers and rappers. Zilah Music Publishing works with music libraries for TV, ad agencies, video games, film & television. We also represent a growing roster of celebrity talent. We place music in TV, Advertising, Film, and Video Games. We make it easy to get your music heard by using our online platform. We have established relationships with some of the industries top entertainment companies, placing your music directly to music supervisors, film, television, music producer & video game companies from around the world. We created our services from the beginning with you in mind. We provide the best high-quality sound recording music on demand for professional media production of any type. On our Zilah Music Publishing site you can find and license the right music for your individual production quickly just by browsing through our music selection. Everyone can find what he or she need in seconds- film directors, ad agencies, marketers, video game programmers etc.